Available exclusively from Camaro Collection! 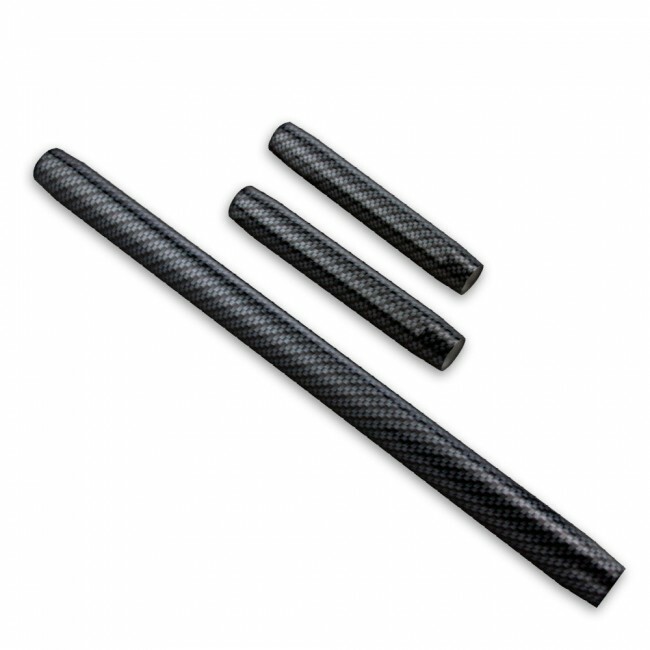 Officially GM-licensed Carbon Fiber pattern Trunk and Hood Shock Rod Covers. Made from premium aluminum billet Hydro-Dipped using a water transfer ink-based technique, providing the Carbon Fiber look, and then finished with an automotive-quality clear coat. This (3) piece kit includes (2) trunk rod covers and (1) shock rod cover for under the hood. Installation instructions included. One year manufacturer's warranty. Made in the USA. Shipped directly from manufacturer. Please allow up to 10-14 business days for delivery. May only be shipped using Standard Shipping.